Following Jacques Hadamard, applied mathematicians typically investigate their models in the form of well-set problems, which actually consist of a family of applicational circumstances that vary in specific ways with respect to their initial and boundary values (and other forms of “side condition”). The chief motive for investigating models in this wider manner is to avoid the improper behavioral conclusions one might reach from the consideration of a more restricted range of cases. Suitable specifications of the required initial and boundary variability typically appeal to previously established experimental conclusions as to how the target system will behave under a range of eternally applied manipulations of the form “If the conditions pertaining to S were altered in manner M, internal features X would/would not alter” (such claims are called manipulation counterfactuals in the essay and arise in a variety of distinct forms). In his investigations of causal reasoning within other parts of science, our first author (Woodward) has emphasized the conceptual importance of counterfactuals of this nature, for which he was been often criticized by authors of a self-styled “metaphysical” inclination. 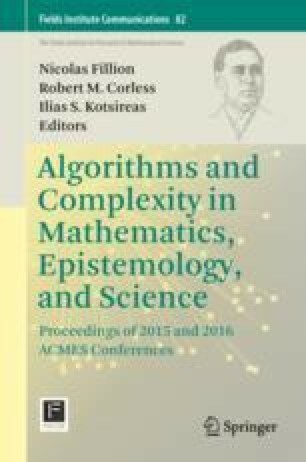 The purpose of this note is to argue, pace these objections, that closely analogous considerations have long been part of the practice of investigating differential equation models in a sensible way.